CORONA, Queens (WABC) -- Mets fever has always been strong in Corona, Queens -- and no place is that true than at Mama's of Corona. When you're here, it's all about the food. The signature deli, Leo Latticini, Mama's of Corona, has had a long-running relationship with the New York Mets, supplying food to the team. It also now has a concession stands in Citi Field. "The Mets are like part of our family," said Irene DeBenedittis. And one of its famous sandwiches is a Mama's Special, an Italian hero as only deli owner Irene DeBenedittis can make it. "It's a good combination," she said. "It works together." Now it turns out this famous sandwich is at the heart of a bet Queens District Attorney Richard Brown has made with a counterpart in Chicago. "This is a big city and he could have chose anyone so it was very, very nice. We are honored he chose us," said deli owner Marie DeBenedittis. "Our Mom started this about 50 years ago. It's pepper ham, salami and muzzarella," said Irene. So with a Mets series win, the folks in Chicago will be sending some of their food. Irene said she doesn't know what that might be. "I'm not sure, maybe pizza. I'd rather have them send us the food." The District Attorney, said the iconic New York hero best symbolizes the city and the Mets and with sweet peppers and mushrooms it will be a delight disappointed Cubs fans can only taste at Mama's Citi Field concession stand. "I'm sure they will enjoy it," said Irene. ("But we don't want that to happen? ", we said. "We do not want that to happen. We do not want that to happen," she said. Mama's has a long history with the Mets. Irene and Marie and all the workers here share in the excitement of the postseason. 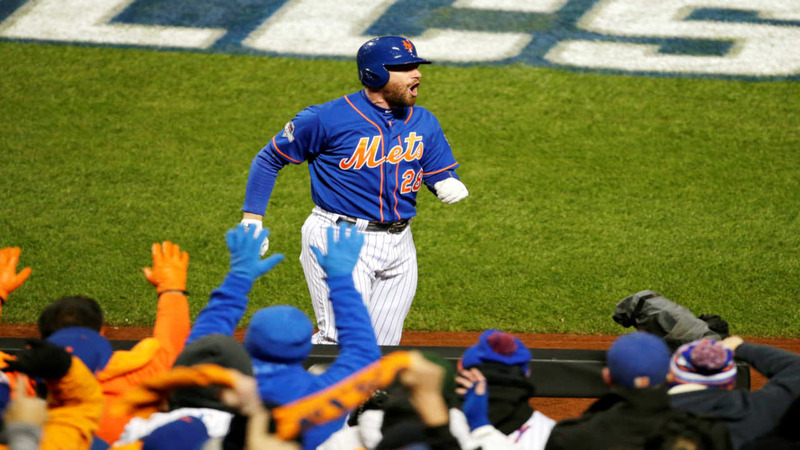 "The Mets have picked up and are doing so wonderful, we are really happy about it," said Irene. And now Mama's Special is on line with the D-A's wager. "They called last week to make sure we were on board with them and we said of course we will but we don't want to lose the bet," said Marie. "We would rather have them send us the food," said Irene.